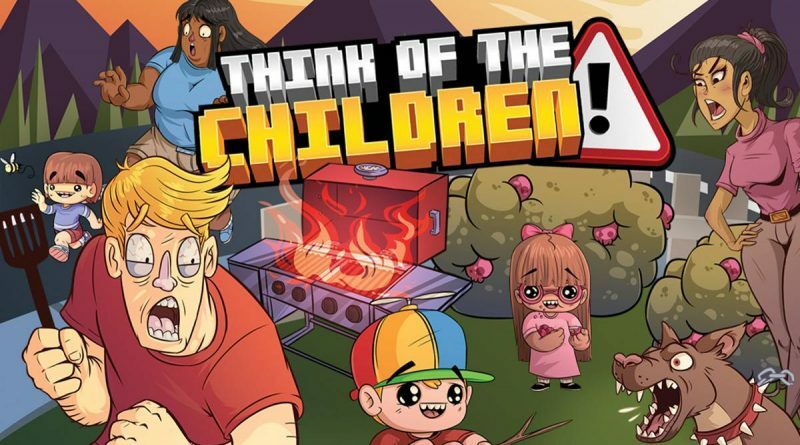 Fellow Traveller Games and Jammed Up Studios have announced that Think of the Children will launch for Nintendo Switch on September 25, 2018. Pre-orders are available now on the Nintendo eShop for $12.99. Hauled before the court for bad parenting and endangering the lives of your children, the prosecutors present a series of events as evidence that will either condemn or exonerate you: a birthday party at the park, a day at the zoo, a camping trip, an unexpected visit to the Australian Outback, and more. Only, each of these locations proves to be far more dangerous than they sound, and even the tamest of environments are filled with deadly hazards. Play through each event in flashback to prove your parenting skills–and your innocence–to the judge, and avoid going to jail.